Croatia is different – Boat and CO.
Croatia, the state of the Europe suroriental, in the western Balkans, on the banks of the Adriatic Sea is, during the last decade one of the most interesting countries to visit in Europe. It has turned into one of the destinations most looked by the lovers of the good weather thanks to the waters turquoises of the beaches of the coast dálmata. Tourism based on the sostenibilidad, in which the culture, the gastronomy and the nature coexist with the visitor, offering him the experience of discovering Croatia being her part. Its official motto “The Mediterranean as it was“. 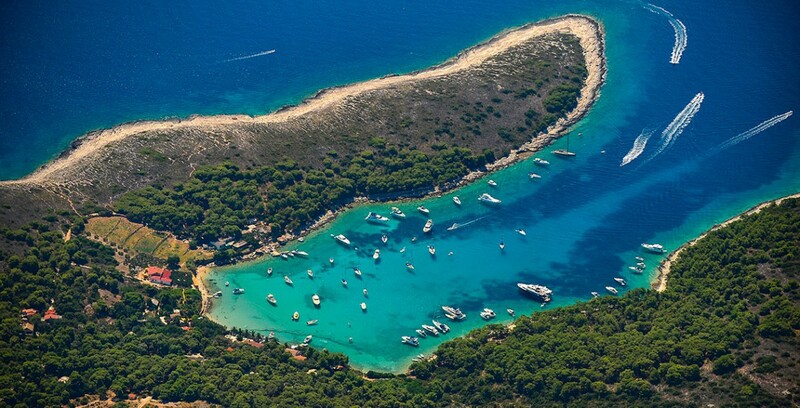 They do not presume in vain: its islands splashed with small beaches washed by the crystalline waters of the Adriatic Sea and its fishing small towns surrounded with forests of pine have a beauty atemporal. It is a country of deep-rooted seaworthy tradition, most of its inhabitants have a narrow relation with the sea and the navigation. With more than 6. 000 km of coast, more than 1.000 islands and a relatively small country, ideal destination for the lovers of the seamanship. The variety of the tourist offer in Croatia goes beyond the beautiful cities Dubrovnik, Zagreb or Split. Its ten declared places Patrimony of the Humanity for the UNESCO together with the attraction of its nature do of an ideal country to go on holidays, going in for adventure sports, senderismo, diving, to travel round its islands in sailing boat, to enjoy its gastronomy or its excellent wines and to get lost with routes in the magic nooks that the history has left in its streets.